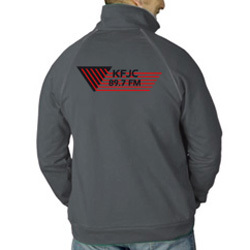 New for 2011 is a zip-up jacket featuring our world-recognized KFJC call letters front and a stylish KFJC logo on the back to get you looking good for the local surf, club, scooter scene. This jacket is super-triple cool and you’ll be the envy of all your track buddies. 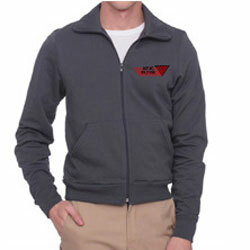 The KFJC Logo Track Jacket is offered as our thanks for your generous donation of $78.00 or more.